In 1873 the Meiji government replaced the lunar calendar with the Gregorian calendar (new calendar). Now almost all areas use the new calendar, but the lunar calendar continues to be used for only some seasonal festivals in the Hida area. Dates in the lunar calendar are about one month later than those in the new calendar. In Japan, we have the Tanabata festival on July 7th by the new calendar. According to the old lunar calendar, this event used to be held on July 7th (which corresponds to a date in present-day August), before the O-bon Festival on July 15th (by the old calendar). In the case of the Hida area, the Tanabata festival is held on August 7th (by the new calendar), so it is just one month later than it is celebrated in the new calendar in most other parts of Japan. 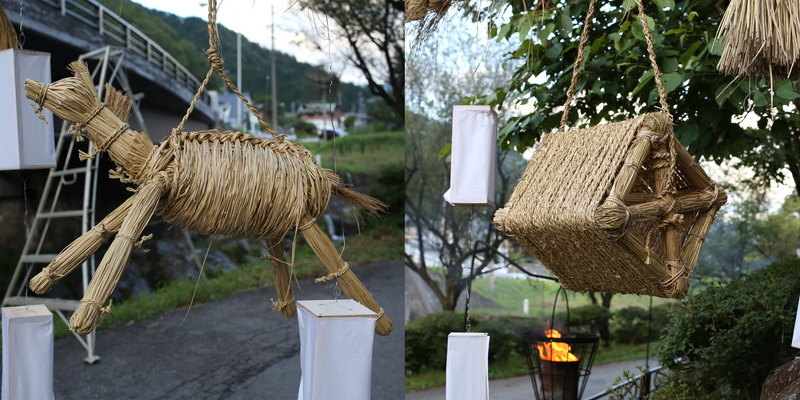 At the beginning of August, people who live in the Hida area put a small bamboo branch at the front of each house, shop, and restaurant. Then people decorate the bamboo with ornaments and colored papers on which are written our wishes. The town changes, twinkling like the Milky Way. 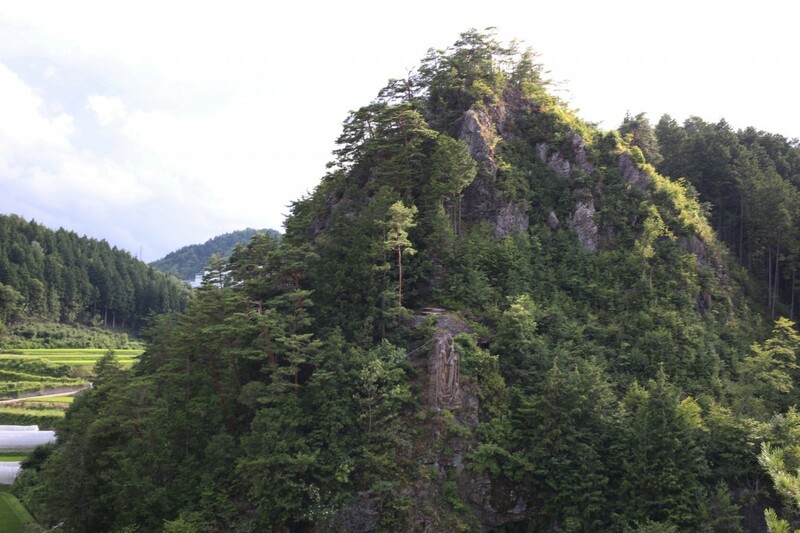 There are two rocky mountains located ten minutes by car from Takayama city. They are called ‘Tanabata-iwa’. ‘Iwa’ means rock in Japanese. One is thought to be a male rock, the other one is female. People call them ‘Meoto-iwa’, meaning that the rocks look like a married couple. 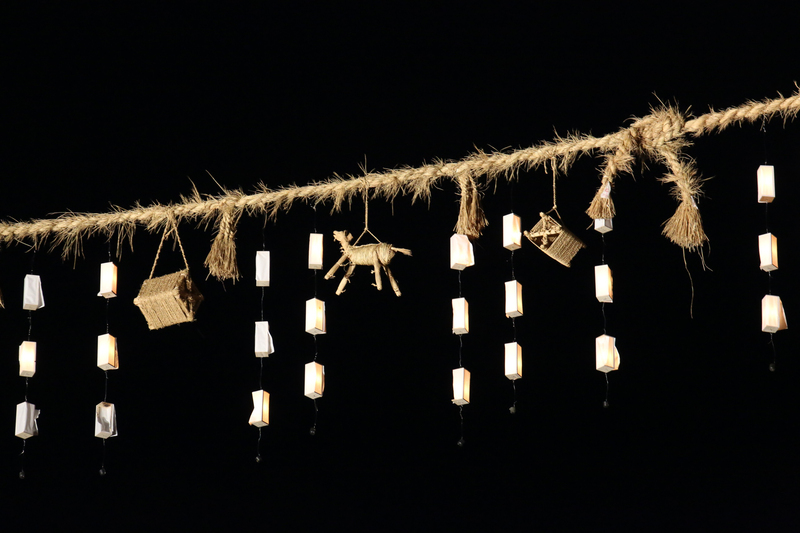 A day before the Tanabata festival, on August 6th, there is the Tanabata-iwa festival. 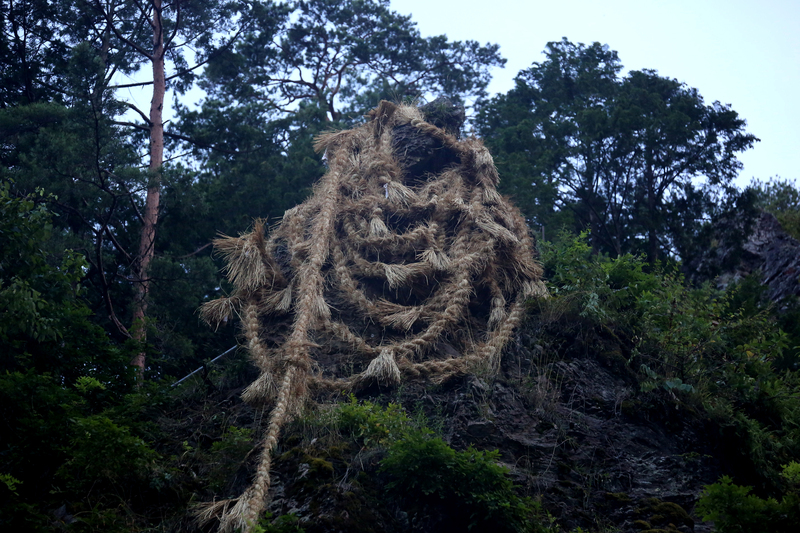 The residents in this village make thirteen 10-meter ropes one week before this event. 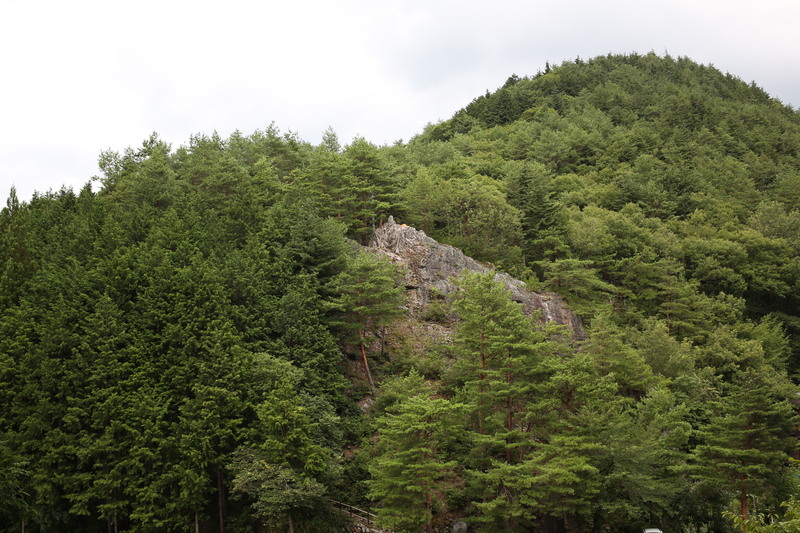 In total they make 130 meters of rope, even though the distance from the male rock to the female rock is only 80 meters. 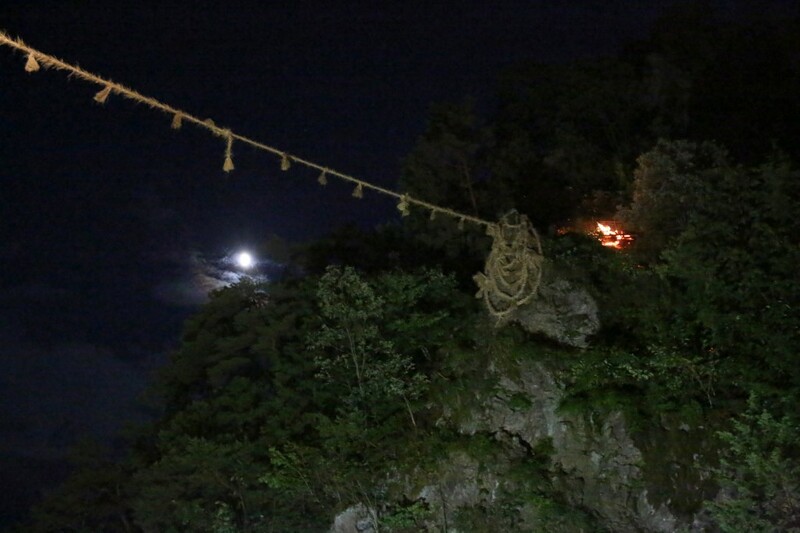 In this event, people tie the 13 ropes together between the male rock and the female rock, wishing for elimination of disease and for prosperity for their descendants. People pray especially that children will grow up healthily. The residents make some houses and some spinning wheels out of straw, corresponding to the number of children born during the year. The houses are for boys and the spinning wheels are for girls. The rope is looped around seven times at the male rock, and five times at the female rock. In Japan 3, 5, and 7 are said to be lucky numbers. People also fasten some straw houses and spinning wheels, and some lanterns to the ropes. The evening of August 6th, people gather at the foot of the rocks. Around 7:00 pm, it is getting dark. 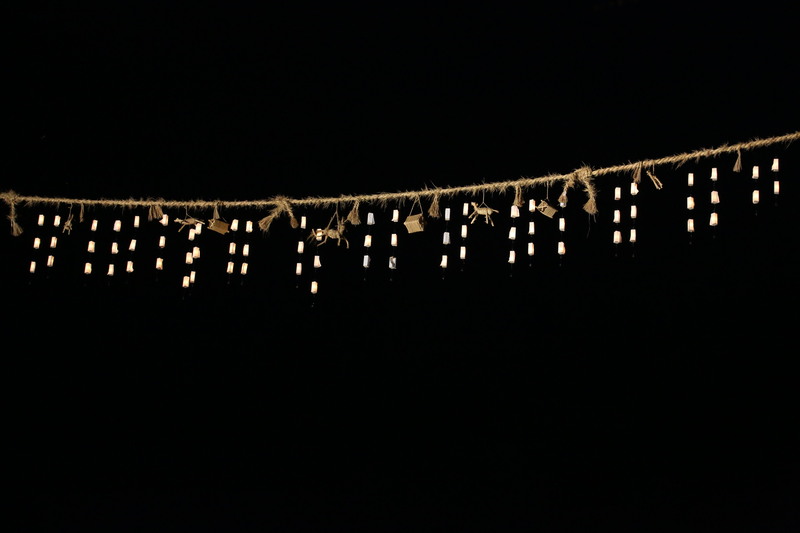 Then people light the candles in the lanterns. After the signal (a blast on a conch shell), people shout together in a good rhythm and put up a rope between the male rock and the female one. It takes about 10 minutes. One old man said, ‘We do this event every year, but I tense up every time, worrying that the ropes will break in the middle of our putting them up’. After it’s over, it all seems very dreamlike. Until about 30 years ago, residents would leave the ropes up until they broke naturally. The idea was that it would indicate how rich or how poor the harvest of the coming year would be, according to when and how the ropes broke. However, then a bridge for cars was constructed in the area. At that time some people worried about the possibility of an accident if the ropes fell down on a car. Since the bridge construction, the ropes have usually been cut by human hands one month after the event. 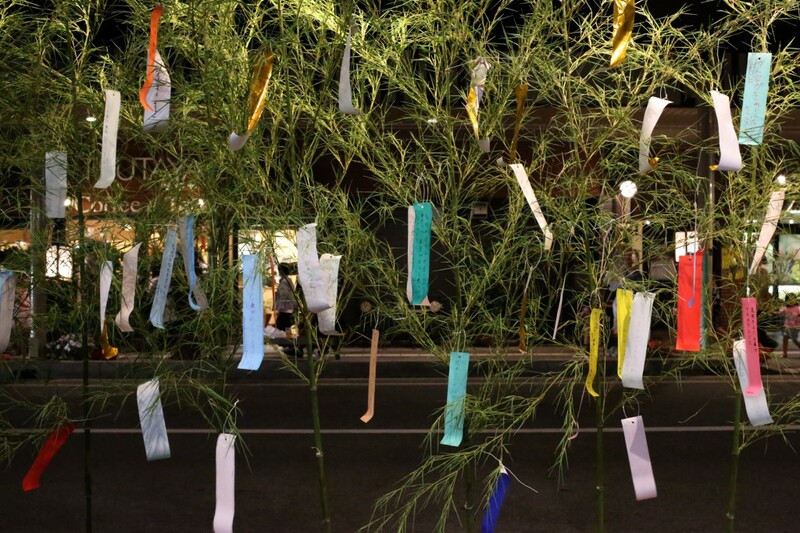 There have been two misfortunes connected with the Tanabata festival over the years. When the bridge was being built, the residents canceled the event. In the same year, a girl went missing and was later found at the bottom of the pond. She had already died when she was found. They don’t actually know the cause, but people believe that the reason the accident occurred was that they had not held the event. So people resumed the event the next year. Also in 1745, there was a territorial dispute between Matsunoki-village and the neighboring village, so that year the festival was canceled. There is a report that a serious pest affected the rice crop, probably because the event had not been held at that time. 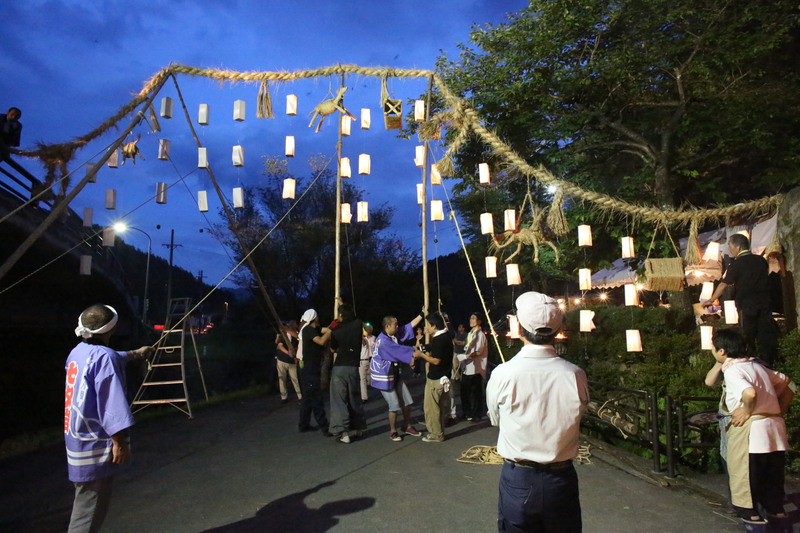 No matter what happens, the Tanabata–iwa festival is very important for the residents. The daily life of the people is tied to nature and the deities of their own land.